Tanya Walker • Walker Law P.C. We have to learn to walk before we can run. After practicing law at prestigious Bay Street firms and representing numerous clients in high-profile cases, Tanya Walker decided to open her own boutique litigation firm. That was seven years ago. Today, Walker Law P.C. 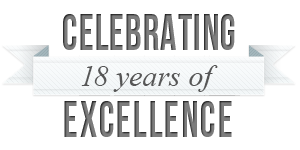 has earned a reputation for excellence within Toronto’s financial district. 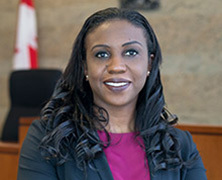 Walker is the first black female bencher elected from Toronto to the Law Society of Upper Canada, which she views as her greatest professional achievement to date. She is also a member of the Supreme Court of Canada Liaison Committee, has written many articles and regularly appears on television as a legal expert. 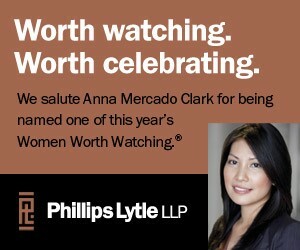 Walker received the Precedent Setter Award (2016); The Canadian Association of Black Lawyers Law Practice Award (2015); and The National Bar Association Chair’s Award for Outstanding Service (2014). She was also named The Universal Peace Federation’s Ambassador for Peace from two organizations affiliated with the United Nations (2014).